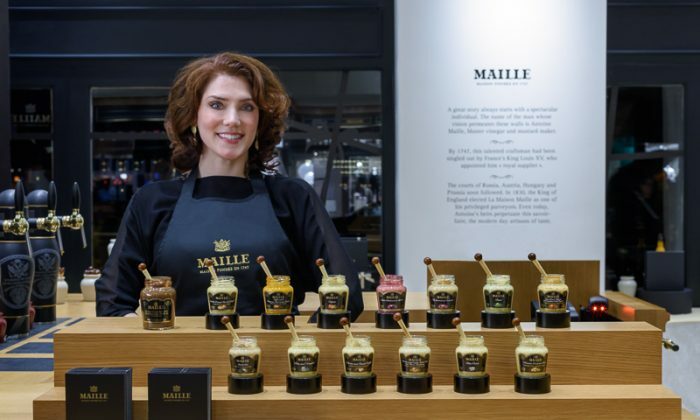 Maille, the French Dijon mustard that has been in existence for more than 265 years, has come stateside—more specifically to the Upper West Side. More than 20 mustard varieties are showcased, including five mustards on tap. If the choices prove too dizzying, mustard sommelier Pierette Huttner is there to help. There are of course those who know exactly what they want. A couple who Huttner said spends half the year in Paris came in shortly after the opening to refill their stone jar with mustard on tap. The flavors range from nutty (walnut) to fruity to truffly (in a limited black truffle chablis edition). In addition to being a condiment, mustard is also an ingredient in dressings, as well as in cooked dishes. Looking for a pairing to impress? Huttner swears by mashed potatoes with the black truffle and chablis; or the wholegrain chardonnay as a glaze or vinaigrette for roasted vegetables; or the walnut in a risotto or stew. The classic, and the strongest, is the white wine (the best-seller at the Paris shop). But as there are mustards to suit every taste, there are also downright surprisingly mild ones, like the fig and coriander, which has a floral finish. Hutter said she would use it in a fruit tart, in lieu of the jam. Flavored mustards, $9 for a 3.8-ounce jar. Prices of mustards on tap vary upward from $25 (for white wine, a 4.4-ounce jar). 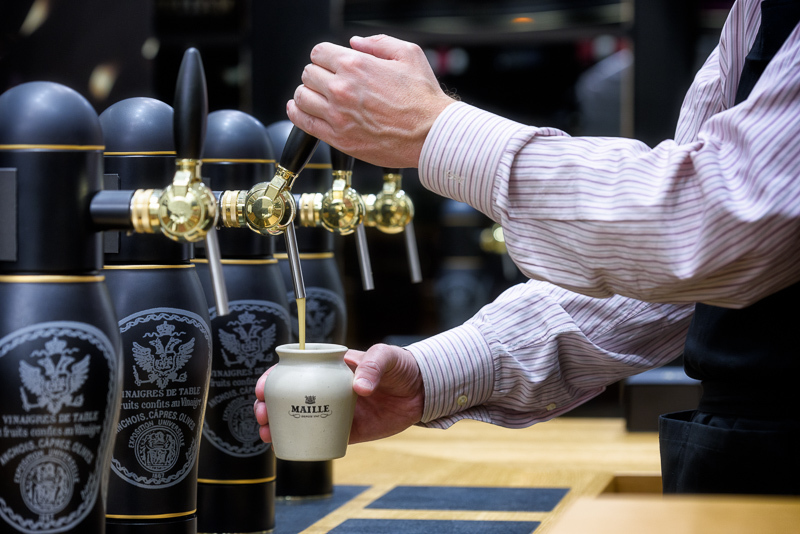 The most expensive mustard on tap is the black truffle ($45 for the 4.4-ounce jar and $99 for the 18.6-ounce jar). Online ordering also available.